Nina Snaith is a Reader at the University of Bristol. The title Reader isn’t used often in Australia, it denotes a senior academic with a distinguished international reputation in research or scholarship. After meeting Nina I can see exactly why she has this title; she is humble and gracious, intelligent and passionate. It was a delight to get to know this deep, thoughtful thinker a little better. Nina’s world has been full of numbers since she was born; her father, an academic mathematician, her mother and grandfather, mathematics teachers and her brother has a PhD in mathematics. Nina doesn’t believe this is simply a coincidence nor does she think it is purely genetic; she did point out that her sister, Anna, is a Professor in Twentieth-Century Literature at King’s College. They aren’t all mathematicians, but she did marry one! Despite being surrounded by mathematicians, Nina never thought she would become one. At school she found mathematics class a little dull and repetitive, however she still enjoyed the subject. She joined mathematics clubs, took part in mathematics competitions and has fond memories of her father and grandfather introducing her to fun puzzles and ideas. So, while Nina has always been aware of the fun to be had with mathematics it wasn’t until university that the inkling to become a mathematician hit her. Born in London and bred in Canada, Nina took an undergraduate degree in theoretical physics at McMaster University; her interest in Random Matrix Theory (RMT) saw her migrate back to the United Kingdom in the late 90s to begin her PhD research with Jon Keating. Nina completed her thesis, Random matrix theory and zeta functions, in 2000 at the University of Bristol. Nina’s work is a good example of the two-way relationship between mathematics and physics. Nina explores the rich mathematical structure of RMT and continues to be fascinated by the connections it has with pure mathematics, even though the more intuitive links are with fundamental physics and engineering. As my day was beginning Nina’s was ending, but before hers was completely over she spoke to me about her past, her present and her future. AMSI runs a Vacation Research Scholarship program over summer; I believe you participated in something similar? I did. During these summer internships I realised how much I love learning and investigating new things. This experience is so different from learning material for assessment, such as an exam. I did three such projects throughout my time at McMaster; the first was in a molecular biology lab, the second was concerned with solid-state physics, but it was the final project that I did in theoretical physics that introduced me to random matrix theory. These projects showed me what it was like to study independently. If you want to see if research suits you, there is no better way than by doing a project like this, either in a summer or as part of an undergraduate program. “Mathematics in Schools” is a course you designed at Bristol, what was the idea behind it and who benefits? Our undergraduates have a placement in a local school in a maths class. They act as a role model for the students, provide support for the teachers and gain valuable experience for themselves about teaching maths and working in a school environment. So, it benefits everyone involved. Because our students have chosen to study mathematics at university they are enthusiastic about it; this can help spark the interests of the school students. You studied at McMaster University in Canada, what took you to Bristol? I did my final year undergraduate project at McMaster on quantum chaos, which links with random matrix theory, the field I now work in. I knew I wanted to continue in the same sort of area, so I asked my project supervisor to suggest some names of people I could do a PhD with. I wrote to several mathematicians and physicists and the advisor I chose, Jon Keating, wrote me the nicest email. He used the phrase “don’t fret” when I was worried about having a background in physics instead of maths. I figured anyone who used that phrase had to be lovely! A solid mathematics background is needed in many jobs; have your peers chosen other professions? Software development and finance seem to have been popular career choices for my postgraduate peers. Also, many have continued in research or teaching mathematics in various environments and at various levels. But basically it prepares you for anything that doesn’t need honing of a specific skill, but rather the ability to think, learn, plan, be creative and investigate. Theoretical physicist or applied mathematician? What you are called depends on what country you are in. When I came to the UK the structure was very different to that in Canada. You would be called a physicist in Canada, but over here [UK] you’re called an applied mathematician. I believe there is a continuous scale from maths to physics, and you can sit anywhere on that scale – from pure maths, to experimental physics. So, there doesn’t need to be any difference between applied mathematics and theoretical physics. You study the connections between statistical properties of L-functions and RMT – layman’s terms? The Riemann hypothesis — for the Riemann zeta function and other L-functions — says that these functions take value zero at points that lie on a straight line in the complex plane; we call it the critical line. These zeros are located at positions along this line – like beads on a wire. The statistical description of how these positions are located is the same for the zeros and for the eigenvalues of suitably defined random matrices (matrices with entries that are random, apart from appropriate symmetry constraints). It turns out that the similarity between the zeros and the eigenvalues is far reaching and means that properties of random matrices can be used to predict properties of the L-functions – even properties that don’t seem immediately connected to the positions of the zeros. So, for example, properties of the values of the Riemann zeta function on the critical line, where it hops along between the zero values, can also be predicted by random matrix theory. Some problems of this sort are extremely hard to solve in number theory, so doing an easier random matrix calculation and having it provide a conjecture for what’s happening in number theory is invaluable. What surprises you about your research? 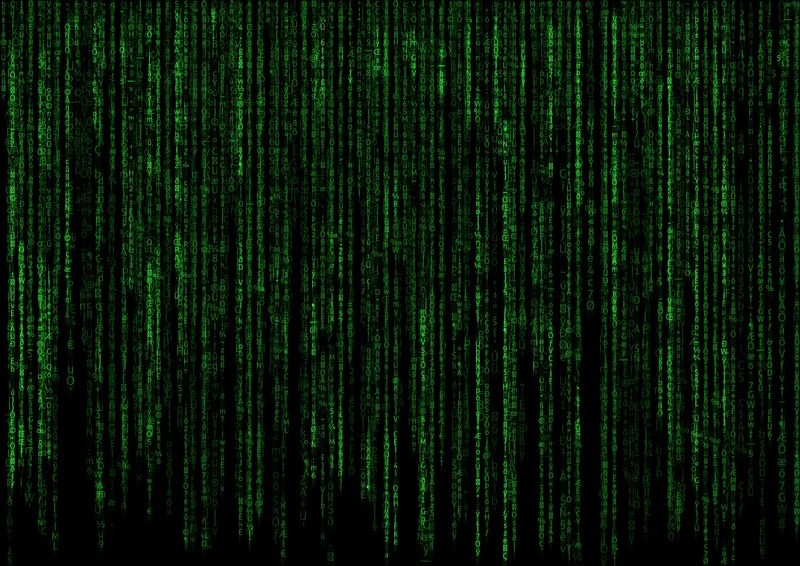 Given that we are using this rather tenuous, unproven connection between random matrix theory and number theory, what surprises me the most is how our predictions can be so incredibly detailed and accurate! 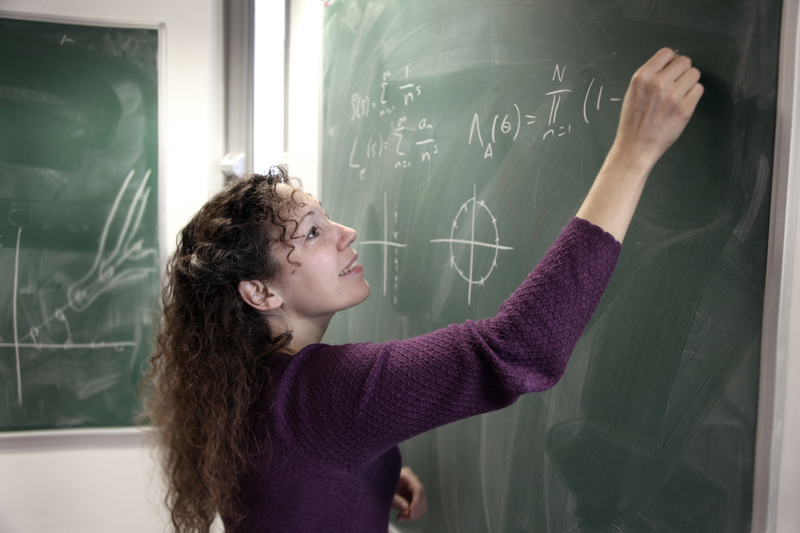 Why do you believe women are underrepresented in maths? I’m sure there are many reasons. I think academia demands quite a lot of one. Of course it has its rewards too, but I think it is still the case that to do that top-notch research you have to put a lot of extra time into your job. I’ve heard female colleagues say that an academic career isn’t so important to them that they would sacrifice other parts of their life. There is also the issue of few role models and still some unconscious bias amongst current academics. I started a “Women in Maths Group” at Bristol about 12 years ago to support women studying maths. We get together once a week and have lunch, talk about things that are going on I our research and non-research lives. We also hold events for undergraduate students to be role models for them, so that they can see there are women in senior academic positions that also have lives outside of academia. How important are female role models to girls interested in maths? Very important. I remember vividly when one of my physics lecturers happened to mention that she had to run because she was picking up her son from football. My friend and I looked at each other with excitement because it was evidence that you could live a regular life, with kids, etc. and be a physicist. So many of our other lecturers were older men, and it was harder to imagine ourselves like them. I’m sure the same is true in maths. Did anyone else in your family study mathematics? My dad is an academic mathematician, my grandfather and mother were maths teachers, and my brother has a PhD in maths. I guess that is no coincidence. Your brother is also a famous musician; do you see a similarity between studying mathematics and music? The honest answer is that I do not know if there is a link between maths and music. Especially by the time you are performing music professionally. But, I think there is a similarity in the way we learn both of these things. I observe my son doing his maths homework and I watch him at his piano lessons and I see exactly the same interest in the two activities. With the piano, he’s not interested in the tune or making a nice noise (he’s 7!) – the bit that captures his interest is the structure. He asks about the length of notes, bars, rests. Clearly it’s pattern and structure that interests him, and it’s the same with his mathematics. Perhaps there is necessarily more of that in music than in other art forms, which is why music is often linked with maths? As a young student you found mathematics a little dull, but you enjoyed the maths puzzles your father gave you to solve; what do you think the difference was? We got to investigate, think about and solve the puzzles ourselves, rather than being “taught”, so I’m sure that was part of it. Also, there’s a lot of repetition involved with gaining facility with maths as it is taught in school, which sometimes detracts from the excitement of learning something new. Now when I want to learn something new I do lots of reading and I am learning about a method in order to solve a specific problem. It isn’t a matter of repeating calculations a million times like we have to in school, but rather learning about the area deeply enough to be able to tackle that particular, complicated problem. Learning new mathematics as a confident mathematician can be a lot more interesting then the way maths is often taught in school. We have to be creative with the maths and figure out how to apply it. Can your research be applied to practical applications? Random matrix theory can be applied to many fields, from communication networks to aerospace engineering, but I was drawn away from the more practical applications to “applying” random matrix theory in pure maths. It’s a bit backwards – usually pure maths eventually finds applications in something more concrete but here it’s the other way around. A technique that originated in nuclear physics is predicting results in one of the most fundamental areas of pure mathematics: the theory of numbers. I do my research because there are mathematical questions out there. And these questions are worth answering. I believe that 50 to 100 years from now, the maths we are developing now people will find uses for. But frankly, it’s unlikely to be me! Your work deals quite closely with the Riemann hypothesis, regarded as the most important unproven proposition in mathematics, do you have hope that it will be proven in your lifetime? It’s so hard to say. I don’t see signs that it’s about to crack any time soon, but with so many fantastic young mathematicians…who can say! What has your research revealed about the Riemann hypothesis or the Riemann zeta function? Lots about the Riemann zeta function, such as how fast the function grows on average between its zeros as you move along the critical line, but not much about the Riemann hypothesis! There has been considerable excitement about the connections between the Riemann Hypothesis and quantum mechanics. Do you know why RMT methods work in calculating the moments of the Riemann zeta function? It’s actually a mystery! It’s part of the fun of this area of research. Of course you can observe, and partially prove, the similarity between the two situations and you can use this to shed light on questions in number theory, but fundamentally why this similarity exists…I don’t know! Have these connections been used to suggest any answers to other long-standing and important problems relating to the zeta function? The question of moments of the Riemann zeta function — that is, average values of the height of the function on the critical line — has been attacked by number theorists for 100 years, and no general answer has been forthcoming. This is clearly an immensely hard problem. Random matrix theory can predict the general answer. You are coming to Australia to give the Hanna Neumann lecture at the AustMS and ANZIAM conference. What will you be presenting? As I am giving a plenary lecture, much of it will be devoted to the history of how random matrix theory and number theory came together, the people involved and the success this partnership has had. There are some pretty fun and interesting stories concerning those who have made contributions to the field. The talk will lead into the most exciting question at the moment: can random matrix theory shed light on the distribution of ranks of elliptic curves. And have you had any success with the connection to elliptic curves? Two of my past PhD students have been working on this project and we are in the middle of it, but we have done enough to have hope that something exciting might happen!